General Contractor Craig Mason is what people call a “master-builder”. Craig grew up around the construction business and learned his trade in High School and College Construction Tech programs. 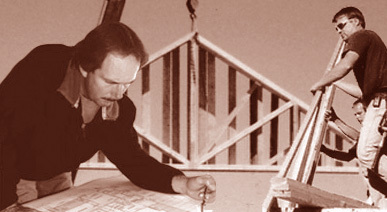 He has been building and remodel homes as a business for over 25 years. He has personally worked “hands on” in all trade areas. This knowledge, great eye for detail, and a strong work ethic is what drives A-1 Builders. Whether working on a Victorian Home, Bungalow, Artisan, or Modern style home he knows what to do. Craig continues his education, and stays current on building codes, green building, and cutting- edge products. Craig is known for listening to clients; and because no two jobs are ever alike, he listens to your wants and needs, lifestyle, taste, and modifications. With that in mind, he clears the way for you to get on with your daily life as your home, office, or space is under-going a change. Craig, his wife, Paula, and their children are active in their community. Together they are involved with ongoing volunteer projects and business groups in several Sonoma County Regions. “Ask for the Best” is our motto and that is what you get from A-1 Builders. From the first meeting to the final close of your project, we are a team. We see your project as our project, and for that reason we will always give you our best. Our onsite management keeps quality control and great service in the forefront. Like the old saying goes, “measure twice and cut once”, we get things done right from the very start. That is what we strive for on our job sites. 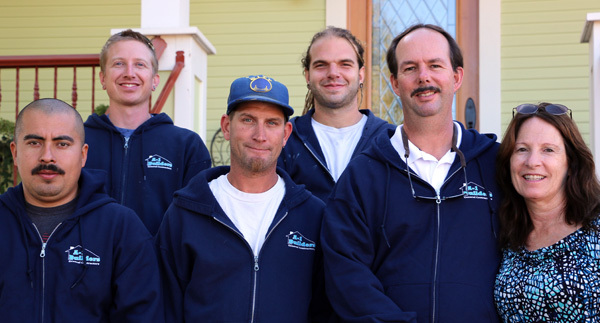 With our experienced and dependable workers, you can count on high standards and quality work. We strive to get things done with the most efficient craftsmanship quality. When you show off your new space our goal is for someone to call us to say, “I just saw what you built and I want you to do that for us”. As our client, you will always have access to key team members with any questions or concerns. Our workers and sub-contractors are professional, courteous, and take precautions to ensure safety on all job sites. When you have a good experience, it reflects on our business. The best compliment is referrals and repeat business.